If I’d known then, what I know now..Document, document, document! I wish I’d started blogging, even privately, about our learning adventures while we were in the middle of them. (I also wish I’d done this from day one. No baby book in our house!) I did some scrapbooking and haphazard journaling but it doesn’t capture all those wonderful moments. And those things I thought I would never forget? Well, I’m glad for the photos we have, but I wish I’d written the details. Books are the quietest and most constant of friends; the are the most accessible and wisest of counselors, and the most patient of teachers. Charles W. Eliot, Harvard president (1834-1926) Of all the books you have read, which book has been your most constant friend? Your wisest counselor? Your most patient teacher? What book … Read moreBooks = counselors, teachers, friends. What are you reading? Dave Iriguchi talks about making ukuleles. 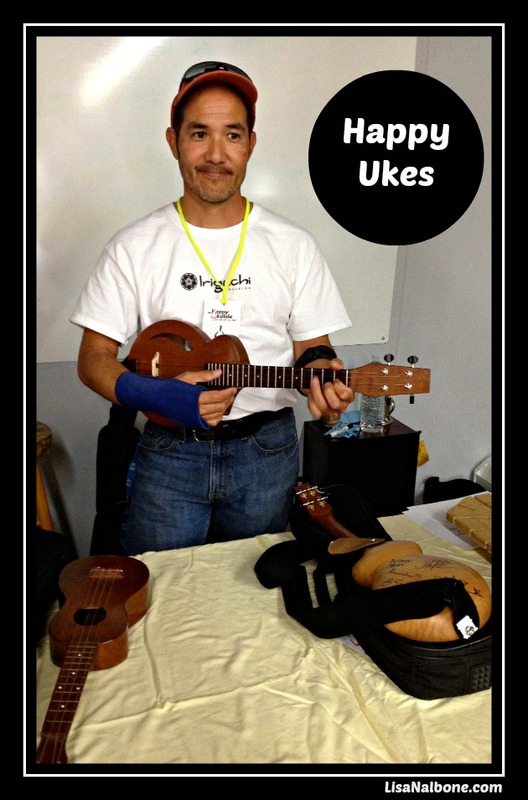 Last week I attended a presentation by Dave Iriguchi of the Happy Ukulele held at the Davis Maker Space. I had the pleasure of meeting Dave when our Uke group attended the Reno Uke fest for the first time in March 2012. As a brand new ukulele player, I was in awe of his handmade instruments,which I consider musical works of art. Or works of musical art. I was really excited to hear about the process of creation. Dave talked about his ukulele making process, his designs, innovations, tools and philosophy. He gave details that went right over my non-builder head, but I could see other makers in the room taking notes. Even if I couldn’t follow all the details, I was entranced. It was fascinating to hear his story and see and try the beautiful instruments.